An interest in tropical urban environments will be an advantage. Singapore also retains examples of several natural ecosystems and is at the centre of one of the biologically richest regions of the world. Candidates should have a Ph.D. with relevant postdoctoral experience, an outstanding publication record, and a strong commitment to both teaching and research. Appointment at the Professor level may be considered for exceptional candidates. Successful applicants will join a growing Environmental Biology group within a diverse and highly successful Department of Biological Sciences. The Department has 60 full-time faculty members and over 260 graduate students from 16 countries. Facilities and research support are world-class. NUS currently ranks number 20 in ‘Life Sciences & Biomedicine’ in the Times Higher Education–QS World University Rankings. Please visit our website at www.dbs.nus.edu.sg for further details of the Department and its research and teaching programs. 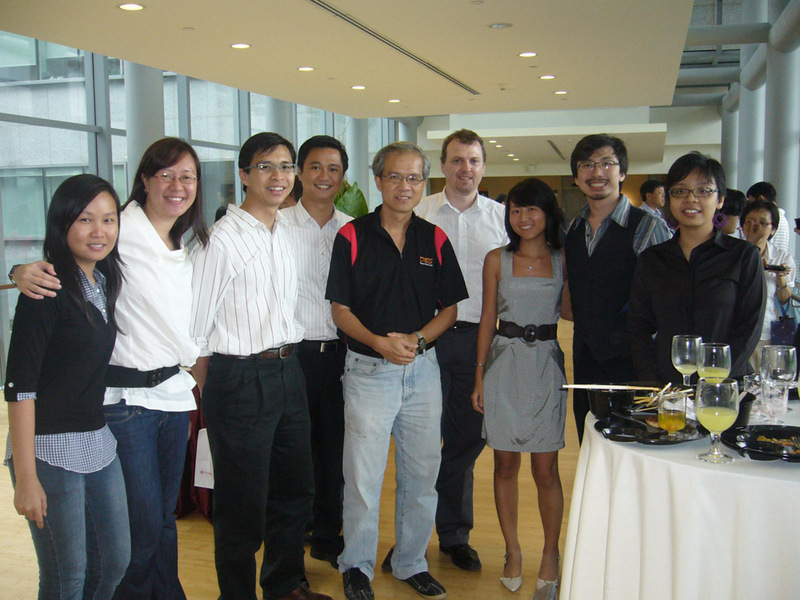 We are proud to announce that the NUS biodiversity group was very respectably represented at this year’s Faculty Teaching, Research and Service Awards 2009. From Biodiversity, the list of winners include: Prof. Chou Loke Meng and Mr N. Sivasothi, for the Faculty Teaching Excellence award (both absent from this picture), Assoc. Prof. Rudolf Meier for the Honour Roll award, Andie, YC, JC, Laura, Eunice and myself, for the Teaching Assistant (Part-Time) award, and Darren and Tommy for the Service award. Some of this year’s winners.